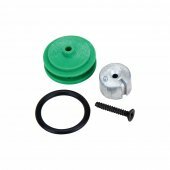 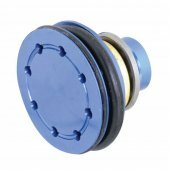 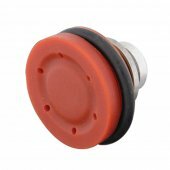 A plastic or metal cap with an oring groove in the side and cut ports across the face and a mounting interface on the backside. 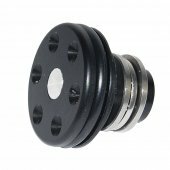 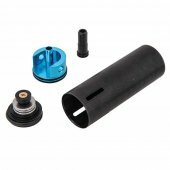 The mounting interface on the back allows the piston head to be anchored to the piston. 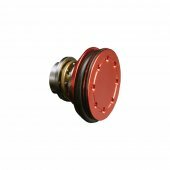 The ports across the face channel air during the firing cycle to apply pressure to the piston head oring, pushing it out and against the cylinder, improving the compression seal.